In March we told you about our Reading Culture task team and the scientifically proven benefits of reading, and invited you to submit suggestions for books you’d like to see included in our new Leisure Reading Collection. We heard from a LOT of you, and we’ve ordered several new books. The Leisure Reading Collection will be on Floor 2 near the elevators. 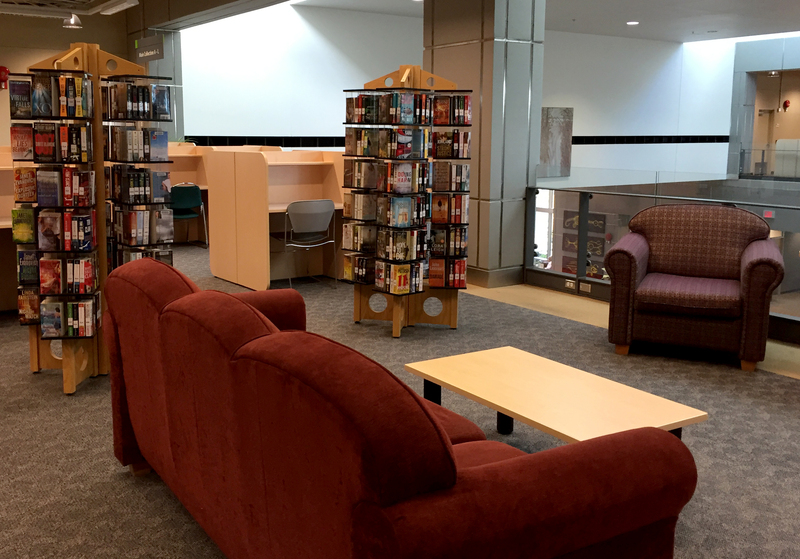 We’ve placed some comfortable furniture in the space and have relocated our paperback collection there. Some spiffy new shelving units have been ordered for all the new books that are arriving daily. In the meantime, borrow a paperback or check out one of the brand new books which are currently on display near our Library Desk. It’s not too late to suggest titles for this collection; use this form if you’d like to do that.